Well, it’s largely due to his high-tech enclosure, cleverly devised by award-winning digital agency in the Draftfcb group, Hellocomputer, and constructed by tech wizard at BinarySpace, Tom van den Bon. Selected because he is active during the day and at night, has a definite personality and loves being with people, BG began tweeting on June 14 this year thanks to a bespoke system devised by the agency. Hellocomputer creatives who worked on the communication elements of the project included Candice Hellens, Moira-Gene Sephton Gous, Eras Gous and Rory Macrobert. 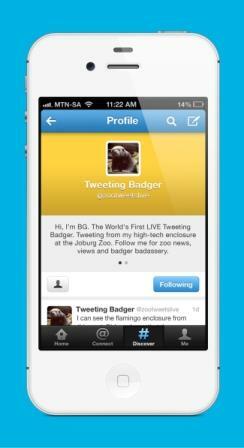 You can follow BG at @zootweetslive or #tweetingbadger. You can view him and his role as a twitterer here: http://www.youtube.com/watch?v=xGTptt7iwj8. 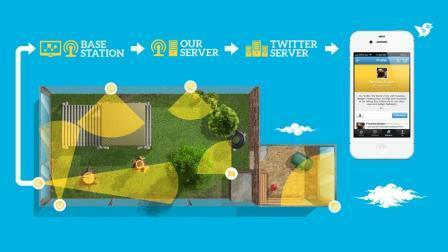 The system developed and installed by Hellocomputer comprises motion-triggered, animal-friendly sensors installed at several places in the spacious enclosure and connected wirelessly to an on-site base station located outside the enclosure. The base station is itself connected to the agency’s server, which hosts a database of pre-written tweets. As BG moves around his camp, he trips the sensors which then send relevant tweets. If he is munching at his food bowl, he’ll be sure to trigger a food-related tweet, for example. 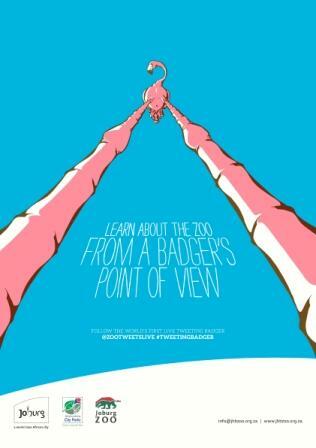 The techno-wizards at Hellocomputer are thrilled by the project and the team at the Zoo are amped to have turned BG into – in record time – what they believe is the world’s first tweeting zoo ‘spokes animal’ said Kerry Friend, executive creative director of Hellocomputer. “The Zoo does a wonderful job connecting with animal fans using many different traditional media, but it has steered away from the digital realm until now. Having acknowledged the many benefits of engaging with its target base using social media, it wanted an especially appealing way of doing so. “Hellocomputer’s logic was that, since the thing that people love about the Zoo is its animals, it makes sense for an animal to tweet. “The job has fallen on BG’s shoulders right now but there are plenty of interesting candidates, ones who are on the extinction list and who could become ‘spokesanimals’ for their species as well. Who knows what the future will bring,” she said. Critical to the Zoo’s acceptance of the concept and the system is BG’s safety, said Johannesburg Zoo’s Brand & Communications Manager, Letta Madlala. “While we were immediately enchanted by Hellocomputer’s innovative proposal to turn one of our most social animals into a social media spokesperson, we stressed that we could not put BG at risk at all. “The system designed by Hellocomputer utilises wireless sensors, so there’s nothing for BG to chew on, choke on or entangle himself in. They are also small and unobtrusive, and have been attached at the highest points of the enclosure, while the base station and its solar power source, which are more difficult to ruggedise, have been placed outside the enclosure. 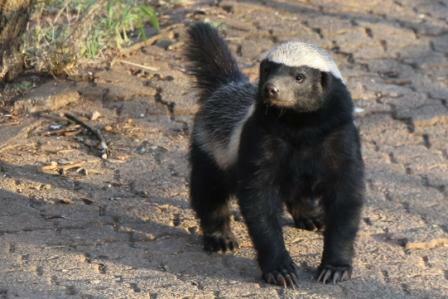 “The sensors are also enclosed in hard-to-penetrate Perspex so, if BG does manage to get his claws on one – and let’s face it, honey badgers are resourceful and very strong creatures – he will not be able to penetrate it in the short term and it can be retrieved by zoo staff. “While several of BG’s tweets will address his daily activities – such as his walks around the zoo which he takes on a lead, his mealtimes and his play times – we will obviously also be able to get him to promote special events at the Zoo and, when relevant, comment on current events. While Hellocomputer has written several rules to govern BG’s tweets limiting the number of tweets a day and an hour or the number of tweets triggered from one station, its server will log BG’s exact movements as they trigger the sensors. This data will be retained and made available to the Zoo at a future date should it have a need to research or contribute to research being done into animal behaviour in captivity. “Not only does this system provide the Zoo with an exciting and totally apt way of communicating with its target audiences through social media, it has the potential to contribute to mankind’s understanding of animal behaviour and by extrapolation animal well-being in the future. “We couldn’t be prouder,” concluded Friend.